There’s only a month left for the new Galaxy S9 and S9 are officially presented. As usual, Samsung has been quite suspicious with its new smartphones ensign, but that has’nt prevented a leak has come out and have revealed an image before time. According to VB, both phones will keep many similarities with their last year versions. 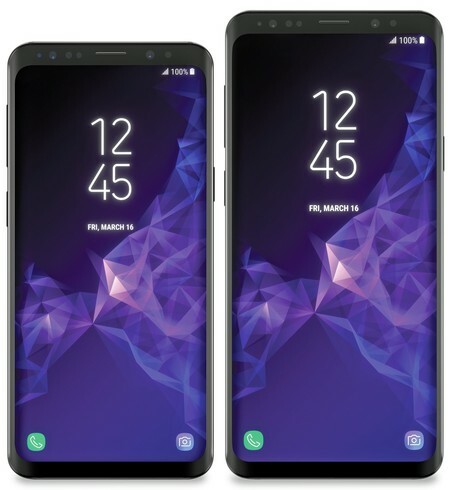 Upper frames and lower have been slightly reduced; the corners will be more rounded than those of the note 8; speakers and cameras are still distributed at the top of the same way as previous models; The dimensions are estimated to be 5.8 and 6.2 inches respectively for the S9 and S9 Plus. With all this, so the difference aesthetics of this year will be almost perceptible. Speaking of differences, something that many users value is updating the processors.The models for the United States will come with Snapdragon 845 and the models for Europe will be incorporated with Exynos 9810. In the section of memory and storage, it is expected that the S9 will come with 4GB of RAM and 64-128 GB of storage, something similar to the S8; On the other hand, the S9 will incorporate 6 GB of RAM and 64, 128 or 256 storage GB. The S9 and S9 will arrive at the stores on March 16th, 2018.